Type II diabetes and insulin resistance has long become an issue for lean individuals as well. But can you really abuse your "pump supplement" as a means to stash away your post-workout carbs at a significantly increased pace? There is way more to arginine than "the pump"
What you are seeing here is an insulin SPIKE that deserves to be written in capital letters, but the way it ameliorates the surge in blood glucose in the diet-induced obese (~type II diabetic) mice could actually protect the rodents from developing many of the neurological and endocrine side effects of high blood glucose levels and not insulin, which has only recently been demonstrated to ameliorate the cognitive decline in dementia and Alzheimer's (Craft. 2012). Now, while the data on the right hand side of figure 1 may be relevant for your obese neighbor, we are actually more interested in the data on the left, which does, by the way, make it quite clear that the problem with being obese is not an increase in insulin release, but the mere fact that even that is not going to help you clear the sugar out of the blood stream. Compared to the obese mice, where we see a slight, but at 60min significant improvement in glucose clearance, the lean mice did not even give the 2g/kg body weight of glucose they received a chance to accumulate in their blood. Rather than that, they cleared it almost instantly. 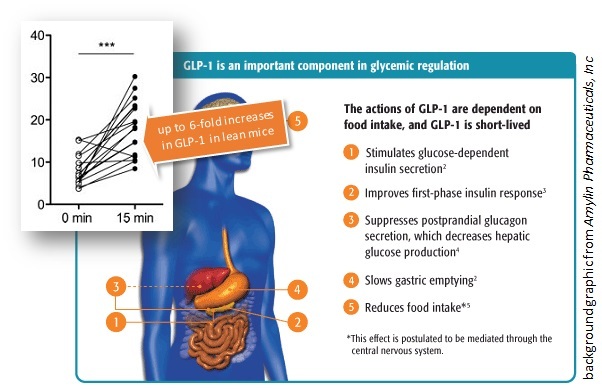 "The GLP-1 incretin effect has traditionally been ascribed to effects on intestinal L cells elicited by ingested carbohydrate, but the findings reported here support the involvement of gut hormones to link protein ingestion with insulin secretion. This has also been recently suggested in studies of humans consuming meals of specific macronutrient composition (Carrel. 2011). Despite the fact that GLP-1 analogues have been used with quite some success in the treatment of type II diabetes in the recent years, our understanding of the far-reaching effects of this "satiety hormone" is still far from being comprehensive (suggested read: "Eat More, Burn More and Lose Fat Like on Crack w/ GLP-1"). What we do know is that it occupies a central position in the control of our energy intake, though. And I am pretty sure is not the SuppVersity post about glucagon-like peptide 1 (GLP-1), you are about to read. So, if it there was not the likely possibility that many of these benefits occur only with a low(ish) protein intake, I would say: Arginine can do a lot of interesting things for you. With a possible beneficial effect on post-workout glycogen repletion being what I consider most significant for the lean physical culturist. There is yet one thing arginine cannot do and that's worth remembering, because it tells you something about the supplement business: It won't increase the pump. Burtscher M, Brunner F, Faulhaber M, Hotter B, Likar R. The prolonged intake of L-arginine-L-aspartate reduces blood lactate accumulation and oxygen consumption during submaximal exercise. J Sports Sci Med. 2005; 4(3), 314-322. Carrel G, Egli L, Tran C, et al.Contributions of fat and protein to the incretin effect of a mixed meal. Am J Clin Nutr. 2011;94(4):997–1003. Cavanal Mde F, Gomes GN, Forti AL, Rocha SO, Franco Mdo C, Fortes ZB, Gil FZ. The influence of L-arginine on blood pressure, vascular nitric oxide and renal morphometry in the offspring from diabetic mothers. Pediatr Res. 2007 Aug;62(2):145-50. Clemmensen C, Madsen AN, Smajilovic S, Holst B, Bräuner-Osborne H.L-Arginine improves multiple physiological parameters in mice exposed to diet-induced metabolic disturbances.Amino Acids. 2012;43(3):1265–1275. Clemmensen C, Smajilovic S, Smith EP, Woods SC, Bräuner-Osborne H, Seeley RJ, D’Alessio DA, Ryan KK. Oral L-Arginine Stimulates GLP-1 Secretion to Improve Glucose Tolerance in Male Mice. Endocrinology. First published ahead of print August 19, 2013. Craft S, Baker LD, Montine TJ, Minoshima S, Watson GS, Claxton A, Arbuckle M, Callaghan M, Tsai E, Plymate SR, Green PS, Leverenz J, Cross D, Gerton B. Intranasal insulin therapy for Alzheimer disease and amnestic mild cognitive impairment: a pilot clinical trial. Arch Neurol. 2012 Jan;69(1):29-38.
de Castro Barbosa T, Jiang LQ, Zierath JR, Nunes MT. L-Arginine enhances glucose and lipid metabolism in rat L6 myotubes via the NO/ c-GMP pathway. Metabolism. 2013 Jan;62(1):79-89. Fu WJ, Haynes TE, Kohli R, Hu J, Shi W, Spencer TE, Carroll RJ, Meininger CJ, Wu G. Dietary L-arginine supplementation reduces fat mass in Zucker diabetic fatty rats. J Nutr. 2005 Apr;135(4):714-21. Gater DR, Gater DA, Uribe JM, Bunt JC. Effects of arginine/lysine supplementation and resistance training on glucose tolerance. J Appl Physiol. 1992 Apr;72(4):1279-84. Jabłecka A, Bogdański P, Balcer N, Cieślewicz A, Skołuda A, Musialik K. The effect of oral L-arginine supplementation on fasting glucose, HbA1c, nitric oxide and total antioxidant status in diabetic patients with atherosclerotic peripheral arterial disease of lower extremities. 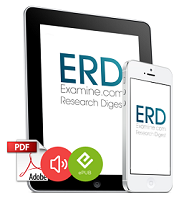 Eur Rev Med Pharmacol Sci. 2012 Mar;16(3):342-50. Linden KC, Wadley GD, Garnham AP, McConell GK. Effect of l-arginine infusion on glucose disposal during exercise in humans. Med Sci Sports Exerc. 2011 Sep;43(9):1626-34. Lucotti P, Setola E, Monti LD, Galluccio E, Costa S, Sandoli EP, Fermo I, Rabaiotti G, Gatti R, Piatti P. Beneficial effects of a long-term oral L-arginine treatment added to a hypocaloric diet and exercise training program in obese, insulin-resistant type 2 diabetic patients. Am J Physiol Endocrinol Metab. 2006 Nov;291(5):E906-12. McConell GK, Huynh NN, Lee-Young RS, Canny BJ, Wadley GD. L-Arginine infusion increases glucose clearance during prolonged exercise in humans. Am J Physiol Endocrinol Metab. 2006 Jan;290(1):E60-E66. Míguez I, Mariño G, Rodríguez B, Taboada C. Effects of dietary L-arginine supplementation on serum lipids and intestinal enzyme activities in diabetic rats. J Physiol Biochem. 2004 Mar;60(1):31-7. Pennisi P, Clementi G, Prato A, Luca T, Martinez G, Mangiafico RA, Pulvirenti I, Muratore F, Fiore CE. L-arginine supplementation normalizes bone turnover and preserves bone mass in streptozotocin-induced diabetic rats. J Endocrinol Invest. 2009 Jun;32(6):546-51. Piatti PM, Monti LD, Valsecchi G, Magni F, Setola E, Marchesi F, Galli-Kienle M, Pozza G, Alberti KG. Long-term oral L-arginine administration improves peripheral and hepatic insulin sensitivity in type 2 diabetic patients. Diabetes Care. 2001 May;24(5):875-80. Raynaud-Simon A, Belabed L, Le Naour G, Marc J, Capron F, Cynober L, Darquy S. Arginine plus proline supplementation elicits metabolic adaptation that favors wound healing in diabetic rats. Am J Physiol Regul Integr Comp Physiol. 2012 Nov 15;303(10):R1053-61. Siani A, Pagano E, Iacone R, Iacoviello L, Scopacasa F, Strazzullo P. Blood pressure and metabolic changes during dietary L-arginine supplementation in humans. Am J Hypertens. 2000 May;13(5 Pt 1):547-51. Tan B, Li X, Yin Y, Wu Z, Liu C, Tekwe CD, Wu G. Regulatory roles for L-arginine in reducing white adipose tissue. Front Biosci (Landmark Ed). 2012 Jun 1;17:2237-46. Review. Witte MB, Thornton FJ, Tantry U, Barbul A. L-Arginine supplementation enhances diabetic wound healing: involvement of the nitric oxide synthase and arginase pathways. Metabolism. 2002 Oct;51(10):1269-73. Wolf A, Zalpour C, Theilmeier G, Wang BY, Ma A, Anderson B, Tsao PS, Cooke JP. Dietary L-arginine supplementation normalizes platelet aggregation in hypercholesterolemic humans. J Am Coll Cardiol. 1997 Mar 1;29(3):479-85. Yaspelkis BB 3rd, Ivy JL. The effect of a carbohydrate--arginine supplement on postexercise carbohydrate metabolism. Int J Sport Nutr. 1999 Sep;9(3):241-50.